I can't believe that I am about to say this but, I had never tried a BB cream before, until I tried this one that I am going to be sharing with you all, today. In case you hadn't noticed, the beauty community is constantly raving about BB creams, and their abilities. From my understanding, most BB creams can do it all. Moisturize, treat, protect, and correct. You basically have all that your skin needs, in one product. Sounds nice, no? 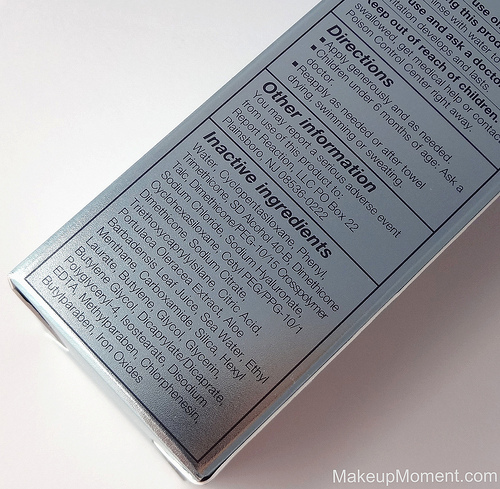 I am all for multifunctional products so, I was really excited when I got the opportunity to test out the Dr. Jart + Water Fuse Beauty Balm SPF 25++ ($34.00). First, I love the sleek, squeeze tube packaging. It's hygienic and I like how you can easily control how much of the product comes out. No mess or wastage, here. Love that! When I first apply and blend this beauty balm into my skin, I notice tiny water droplets appearing, that induce a burst of hydration to my skin. The droplets are quickly absorbed after some blending, and my face is left feeling super refreshed. I have never seen this kind of technology, before. It was quite interesting to experience. This product has a light, creamy texture, that is pretty pleasant to work with. Although, to facilitate blending, I do suggest blending in this beauty balm with your fingers. When I tried applying this beauty balm with a brush-stippling, to be exact, it was just not blending into my skin. It was very frustrating, to be honest. After the blending is done, I am immediately introduced to a strong sunscreen scent which unfortunately does linger on, throughout the day. Just something to be aware of, in case you are one who happens to be sensitive to fragrances. This beauty balm is only available in one color selection. It's a very cool, neutral light beige that doesn't seem to be a good contender for my NC25 coloring. During initial application, the color is a bit too light and leaves sort of a white cast. Luckily, after a few minutes when this product has had some time to settle on my skin, the mismatch in color isn't really noticeable anymore and, it looks much more natural. The color somehow molds into my skin. Coverage-wise, I would say it's light-medium. 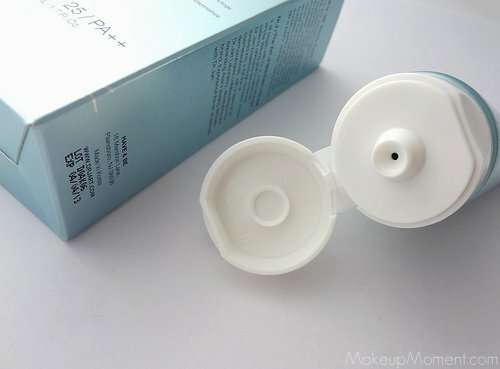 This beauty balm does blur out my acne scars but concealer is definitely a must, if you are keen on a higher coverage. I like how this lightweight beauty balm evens out my complexion, and gives me a healthy, natural looking finish. Its neither matte, nor illuminating. My skin, but better is the best that I can describe it. My skin feels really nice when I have this on. Very soft and in fact, moisturized. I haven't experienced any irritation nor breakouts from using this beauty balm so, that's a plus for my sensitive, acne prone skin! Dr. Jart +'s Water Fuse Beauty Balm SPF 25++ lasts all day on me. I have an oily t-zone area and I found that oil didn't seep through those areas, until 3 hours into wear time. It's nothing a little touch of powder can't fix, though. But, this stuff held on pretty well. For the most part, I am very impressed. To wrap up this post, I have to say that even though this beauty balm has it's few quirks like, the limited color selection and the heavy lingering sunscreen scent, there are a few qualities that I do like which I think outweigh the cons. For me, the coverage was satisfactory, mainly because my skin has been experiencing less breakouts, and I don't have much to correct other than my acne scars and some unevenness. I certainly wouldn't reach for this beauty balm when my skin is acting up. When that happens, I definitely need something a little heavier in the coverage department. Also, the healthy natural look that I obtain from this beauty balm is really nice, as is the lasting power. Overall, I think this a nice option to reach for, on those minimal makeup days. I can quickly apply this, and go about my day. I did in fact enjoy this beauty balm, from Dr. Jart+ and I think now, I have a pretty good idea as to what beauty balms set out to do. I can't wait to experiment with other beauty balms in the future! 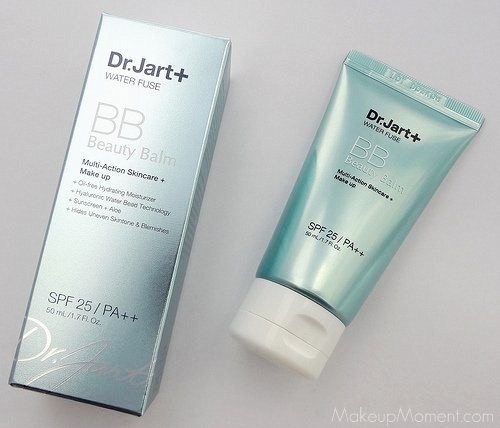 What do you think of Dr. Jart+'s Water Fuse Beauty Balm SPF 25++? Which are your favorite beauty balms? Disclaimer: I received the product mentioned in this post (free) from PR, for review consideration. I am not being compensated for this review and all opinions are honest, never influenced, and my own.